Catwoman appeared in Batman Vol. 1 #1, in 1940. This writeup covers all of her 1940s appearances. 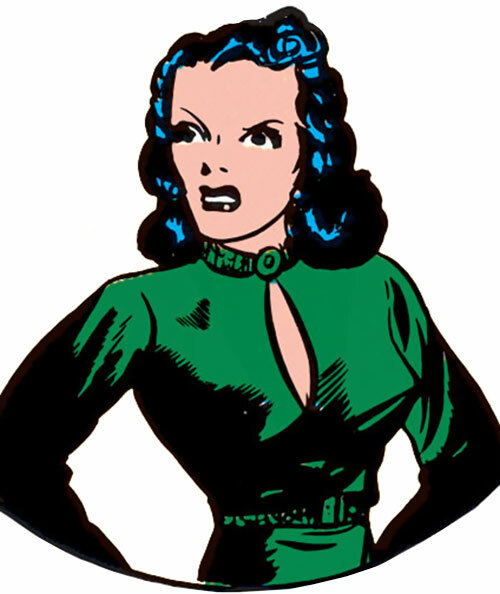 However, profiling the Golden Age Catwoman in the writeups.org style presents difficulties. At this point, comic books are cheap throwaway stuff for children. 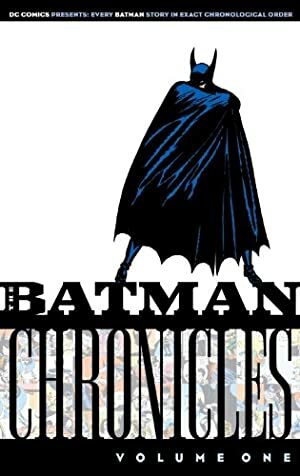 There’s little emphasis on continuity, and readers are expected to follow the stories for but a few years then grow out of comics. The notion of a shared, continuous fictional universe (which is a critical basis for geek subcultures) isn’t quite there yet. 1930s/40s pulps is where proto-geeks clearly appear, but a more recognizable form will only emerge with the Silver Age of comics. Which was a first major wave in reviving and developing pulps subcultures. In this context, the 1940s villains of Batman follow more of a “baddie of the week” format than a “well-developed recurring villain” one. Even those that have a gimmick (such as “stuff having to do with cats”) do not consistently use it. In some Catwoman stories the opposition could easily be replaced by the Penguin with a dress and a long wig. And in some Penguin stories Catwoman with a top hat and an umbrella (ella, ella, heh (video)) would have made no difference. Usually, we can spin things a bit, and offer No-Prize Hypotheses , to hide incoherences under the carpet. But it doesn’t really work here. Attempts at isolating authorial takes didn’t work either. Any given writer (say, Bill Finger ) can produce multiple takes on Catwoman. Thus, we’d almost have to do a separate profile for each story. Especially since our profiles are big on what the character does and how they behave, *exactly*. Instead, we’ll go for a slightly abstract approach. 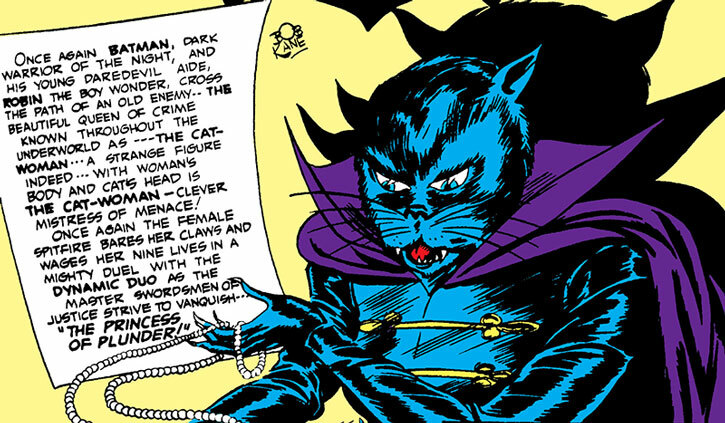 1940s Catwoman is presented as a an outline, with the gimmicks for each story being “plug-in modules”. Our oldest Catwoman profile is a “gisted” article, mostly reflecting her during the early 2000s and the Brubaker run. 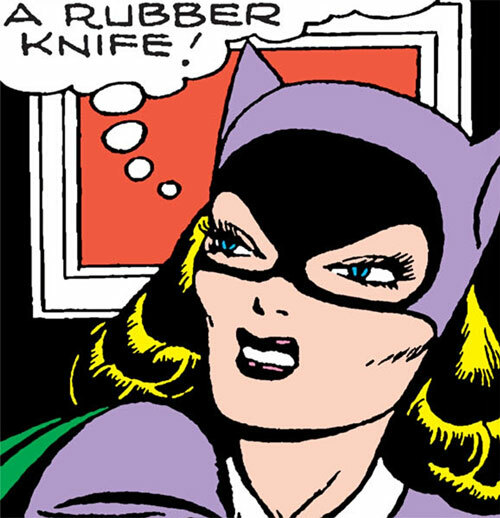 Catwoman – The 1940s, part 1. Catwoman – The 1940s, part 2. Various other versions of Catwoman have writeups.org profiles, including Michelle Pfeiffer’s and Stan Lee’s. Other Aliases: Miss Peggs, Elva Barr, Madame Moderne, “the tigress queen of crime”, “the mistress of menace”, “the ruthless queen of roguery”, Belinda, “the princess of plunder”, “crime’s beautiful queen”, “tigress of crime” and others. Note: Her crime name starts as “The Cat” but keeps evolving. First “The Cat Woman”, then “The Cat-Woman”, then “The Catwoman”. Known Relatives: None at this point. Group Affiliation: Leader of her own criminal crew. Height: 5’5” Weight: 115 lbs. Eyes: Variable. Hair: Variable, eventually settles on black. Cat got your Tone ? A 1942 tale (in Batman Vol. 1 #10) clearly establishes Catwoman as being one Marguerite Tone. Then it just… falls off continuity. It’s never mentioned again. Since this name was just a gimmick for a single story, we’re going to downplay it in this article. But a 1940s reader could reasonably assume that Catwoman’s name is Marguerite Tone. New information only comes up in 1950. One fan theory is that a different women used the Cat/Cat Woman/Catwoman identity during the Golden and Silver Ages. A bit like James Bond. Presumably, it’s meant to explain the discrepancies. In the light of this, here are quick notes about the identities Catwoman used during the 1940s. But generally, I’d advise against drawing conclusions from stories not meant to form a tight continuity or to have much internal logic. Absolutely an alias and disguise. M. Tone, “the toast of high society”, has clearly been around for years. There’s little reason to think it’s not her real name… but one detail is off. Tone’s parties are very popular among the rich. Yet Bruce Wayne clearly has never met Tone, as he immediately recognise her voice as Catwoman’s. Odd. The captions soon list her name between quote marks (as an alias). The story also makes it clear it’s an alias. Batman and Robin also immediately recognise her as Catwoman. The Barr identity apparently had a full paper trail, though. Which admittedly was easier during the 1940s. Not clearly stated to be an alias. 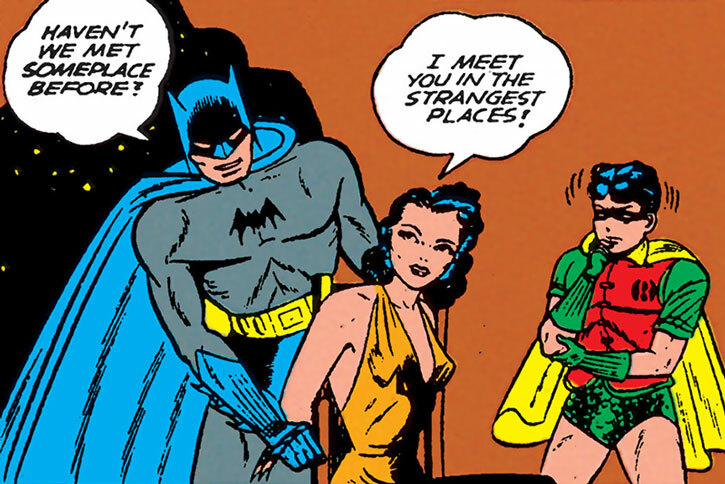 Oddly, she doesn’t seem familiar with either Bruce Wayne or Batman, whereas Batman and Robin immediately recognise vague textual allusions to her voice and body language. Clearly an alias. Howbeit, Batman and Robin do not recognise her face. But then, she used lifelike masks in previous stories. For those who want fitting music for the article, one of the biggest hits of 1940. Bing Crosby likely is the most emblematic US pop artist of this decade. These are the skills and equipment that Catwoman has used on several occasions during the 1940s. They are considered to be her baseline. Undercover intelligence gathering and legwork. Disguise and voice mimicry, though that gets used less as time marches on. Recruiting and leading underworld gunsels. Setting up comfortable safe houses (usually with cat-themed decoration). Access to various kinds of sleep gas (very popular in 1940s comics storytelling). Catwoman is also an excellent swimmer. She can handle whitewater swimming, and high diving. Plenty of kitties are good swimmers, despite the cliché. She can operate a wide variety of vehicles. From cars and motorcycles to various sorts of boats and construction/logistics tracked vehicles. She repeatedly displayed professional-level knowledge of women’s fashions. That includes modelling, or even drawing/colouring fashion plates. Her night vision is markedly better than average, and her eyes adapt quickly to low light conditions. She’s particularly attractive, though it’s not always played up. Catwoman always could win citywide beauty contests. The Cat Woman is lithe, athletic and has excellent endurance. 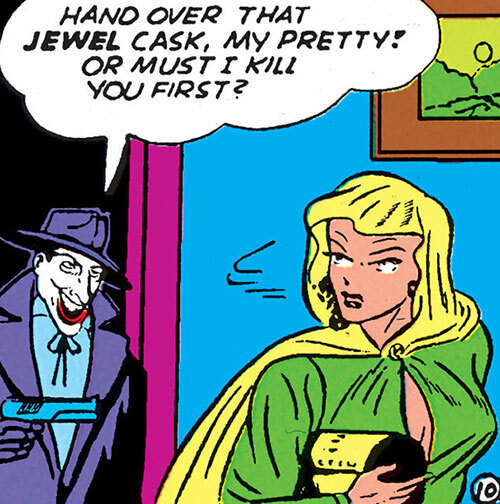 However this is a 1940s comics, so genre conventions mean she can’t engage in fisticuffs. Knocking somebody out with a big vase from behind is always an option for everyone, of course. But as a female character, Catwoman doesn’t get to punch or kick (even in self-defense). So she’s nigh helpless if a guy grabs her. However, the Cat soon gets to shove her opponents and escape while they are destabilised. The Cat Woman can do that even against the Batman, kissing him and shoving him off while he’s surprised. More generally she’s good with sudden, forceful movements. As time progresses, she gets a little bit of leeway when it comes to indirect tactics, such as toppling heavy objects onto pursuers. She’s a dab hand with thrown projectiles – usually random nearby objects. Cats have claws, as you might know. There is thus a pattern of wanting to give Catwoman some kinds of claws. But since she doesn’t get to fight, claws would be at cross-purpose with her depiction. Long, sharp nails. These are useless in a genuine fight, for instance to harm Batman or Robin. But it can inflict painful gashes to people who do not know how to defend themselves. Leather gloves tipped with steel claws. These are visible in early art, yet neither used nor mentioned. But in the second half of the 1940s, these are twice used as efficient climbing aids. With her gloves on, Catwoman is highly mobile and climbs faster than Batman or Robin. She does try to use them in combat, but never lands a hit. The steel-clawed gloves are once built covertly in her prison cell. This would imply that Catwoman designs and/or builds at least part of her gadgets herself. Catwoman has her own rep — originally as the “slickest and prettiest jewel thief in the business” — by the time she appears. This grows during the decade, though we’re never really shown what it en-tails (oh oh oh). This prestige helps with commanding underworld macho men, and seems to also extend to the public. A best-selling author apparently wrote a book about her exploits, being disguised as Catwoman at parties was a thing, her crimes were the talk of the town, etc..
Perhaps it was similar to the Bonnie & Clyde mystique. Or closer to less romantic Roaring Twenties gangster mythologisations. These skills and gear only appeared once during the 1940s. As her gimmick(s) for that story, Catwoman might demonstrate one or more of those. The stories where she has the most additional abilities and equipment also tend to be the ones where her characterisation is more distinctive. These, as usual in fiction, allow for magically efficient impersonations. Especially since Catwoman can mimic voices, given enough material and practice. In one story, Catwoman has pro-level beautician skills. Heh, why not. In another story, the Catwoman could create a successful fashion magazine within a month (!). She then manages its rise into spin-offs and media events. Cats are known for their natural publishing instincts, so that’s credible. And that one time in 1947, Catwoman was a solid equestrienne. The original cat-acombs are an underground labyrinth, were even Batman and Robin were lost for hours. Beyond the weak pun, the cat-acombs are notable since the Cat, who is simply a masked thief at that point, suddenly uses a more super-villain-ish asset. In some story a more compact pistol evoking a Colt M1908 Pocket Hammerless. In others a larger one evoking a Fabrique Nationale Modèle 1903. These guns are seldom actually used. And if she pulls the trigger, it’ll normally be for indirect tactics. Say, shooting lamps to gain the cover of darkness. Still, she does that with solid accuracy. She also sometimes carries a knife, but this is solely for utility. 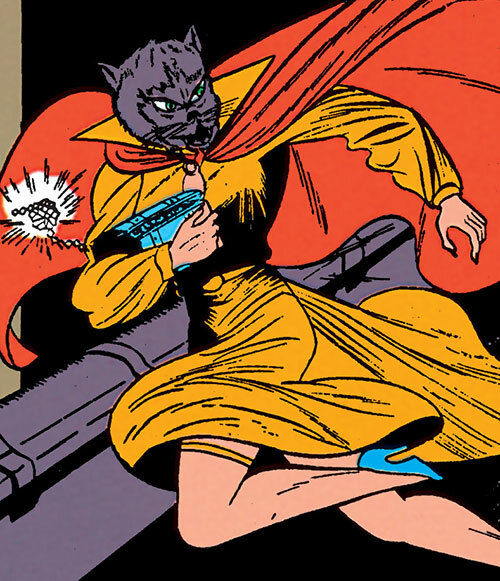 Catwoman once used flash powder, as a sort of low-powered flash-bang grenade. This powder is usually used by stage magicians. In 1948, she uses a bona fide grenade. It is used to blow up a small drawbridge to prevent pursuit, but it’s a startling escalation. This get-out-of-jail-card was a small gem she could hide on her person. She used it to briefly hypnotise a prison matron, then escape. Catwoman often uses getaway cars – which have, by 1940s standards, good performances. But in 1947, she deploys a far more remarkable car. The Kitty Car, a powerful roadster, is a match for the Batmobile of 1947. Its body is outrageously styled as a black house cat, leaping with all four paws extended and its tail up. The car also features hidden jump jets. These small rockets allows the Kitty Car to make big jumps without any ramp, though we’d assume they only have enough fuel for one such stunt. 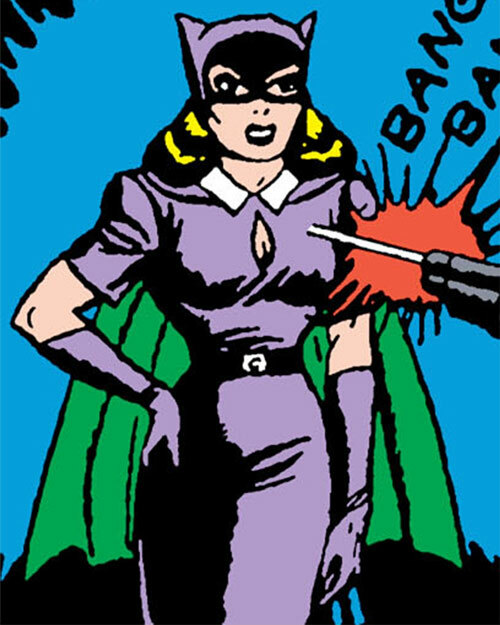 In a 1947 story, the Catwoman wears a trick belt over her outfit’s actual belt. With a quick tug, it becomes a cat-o-nine-tails. That is, a handle topped with nine lashes with weighted tips, about ten inches (25cm) long. Though she’s still not portrayed as a fighter, her cat-o-nine-tails blows are accurate. This allows her to force Batman back, disarm people, etc..
Is able to locate Catwoman, even though she’s in prison. Can sneak all the way into Catwoman’s cell. Always carries a skeleton key and small sleeping gas capsules on her collar. This is the most impressive “throwaway” asset of 1940s Catwoman. This schtick is seen in various other Golden Age stories (Bill Finger liked it, I think). It will become central to the 1992 cinematic Catwoman played by Michelle Pfeiffer. This ability allows her to miraculously escape certain death. This just pops in, eight lives are expanded in rapid succession, and it vanishes. I blame the Luck Lords . This profile was split since it’s slightly too long. Part #2 has mini-recaps of the story, the stats, the quotes, the appearance and characterisation notes, etc.. Source of Character: 1940s Batman comics. Helper(s): Darci, and Hecate the black cat. Writeup completed on the 4th of November, 2018.